Rafael Benitez has told Newcastle to ignore the Premier League table as they prepare for Monday night's tough trip to in-form Wolves. The Magpies headed into the weekend sitting in 15th place in the table and two points clear of the drop zone after back-to-back league victories over Cardiff and Manchester City before last weekend's narrow defeat at Tottenham. However, that had changed significantly by Saturday evening after wins for Cardiff and Burnley saw them drop two places and remain clear of trouble by virtue only of goal difference, although Benitez had already urged his players to concentrate only on what they could affect. Asked about the difficulties of playing on a Monday evening, he said: "When you have this situation for a while and you know it will be like that, you have to wait. "You cannot change anything. The only thing you can do is be sure you prepare for your game properly, and that's it. "Your players can't affect what happens on the other pitches, so you just have to stay concentrated on your game. "Sometimes it's positive, sometimes it's negative and because you can't change anything, it's better that you don't focus on that. 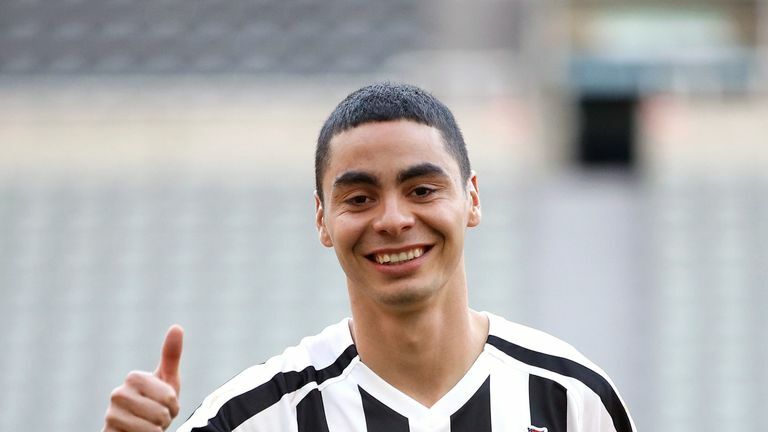 Newcastle manager Rafael Benitez says record signing Miguel Almiron has the key attributes to succeed in the Premier League. "You have to say, 'Okay, what do I have to do? Perform with my team', and that's it." Newcastle's travelling fans could receive a boost this time around with record signing Miguel Almiron in line to make his debut at Molineux. Paul Dummett, Mohamed Diame, Ki Sung-yueng and Joselu are all available after injury as well as Yoshinori Muto following his return from the Asian Cup, but Almiron is likely to make the matchday squad.